Nice! Sparkle Paper Towels, 6 ct for ONLY $0.38 a Roll! 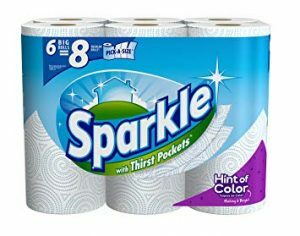 Sparkle Paper Towels, 6 ct for ONLY $0.38 a roll!